INGLOT Cosmetic Canada has retained Toronto-based Karyzma Agency as its public relations Agency of Record. The agency will lead the brand’s Canada PR strategy. The assignment includes media relations, influencer programs, partnerships, event management and consumer engagement activities. 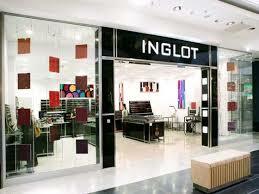 INGLOT Cosmetics was established in 1983 by Wojtek Inglot, a young chemist working at that time in R&D department in pharmaceutical company.